In this workshop we will be detoxing and finding space, clearing out the cobwebs and unblocking energy channels. We will use pranayama (breathing exercises) and kriyas (cleansing practices). 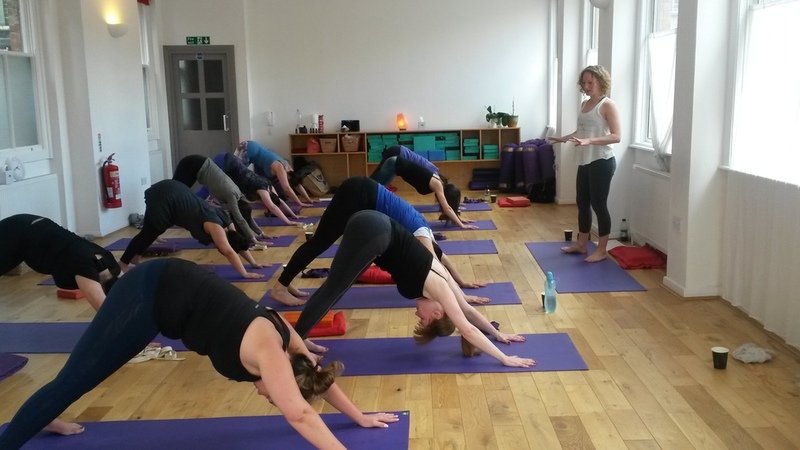 We will move through a range of yoga asana to find deep twists and extensions that encourage the physical body to come in line with the energy bodies. The Essential Oils in this workshop will assist with our full Spring Clean. Using only the purest and most beneficial oils - doTERRA Pure Natural Therapeutic Grade Essential Oils including Lemon and Wild Orange, which are both powerful antioxidants, to detoxify and cleanse the body; Eucalyptus to open and cleanse the airways; and Cedarwood to ground and connect with the Earth. To ensure that you get the most out of these exquisite oils, they will be available for inhaling, applying to the skin and drinking in your water during the class. Please bring an extra jumper and socks for Savasana and relaxation parts of the class. Only Connect is London's creative Criminal justice charity, rooted in community. Their vision is a more connected society where we all choose a crime free life. Working with Londoners aged 16+ with recent experience of the justice system, equipping them with the necessary skills, attributes and positive networks to progress into education, training and employment. Visit www.onlyconnect.london to find out more about Only Connect, or to hire the venue at Cubitt Street or email venue.enquiries@oclondon.org.